Use this url in your Eclipse Kura workspace to install this package. OFFICIAL ADD-ON for Eclipse Kura - This driver instance packages Eclipse Milo to enable communication with OPC UA enabled devices using Eclipse Kura. This OPC UA Driver can be associated with an Asset instance inside Eclipse Kura runtime and can enable users to use it with Kura Wires. 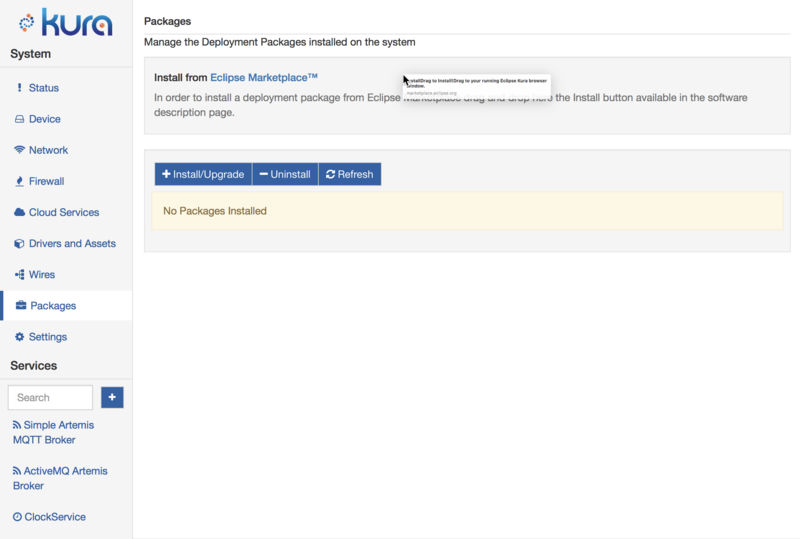 To install the package, simply drag and drop the Eclipse Marketplace link into the Kura Packages section of the Web UI (see Screenshots section).